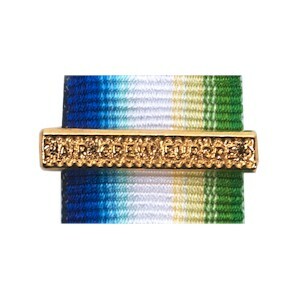 Description: A clasp with beaded border with the raised inscription AIR CREW EUROPE in the centre. Comments: This clasp was issued for air operations over Europe from 1939-1944. It was awarded for operational flying from UK bases over Europe, for a period of two months between 3 September 1939 and 4 June 1944.